Oil on canvas. 66 × 89.5 cm. At the left below inscription, signature and date:.. de Daphnis.. Gessner Ph. Hackert Rome 1781 Saint Petersburg, The State Hermitage MuseumInv. No. ГЭ 5329. 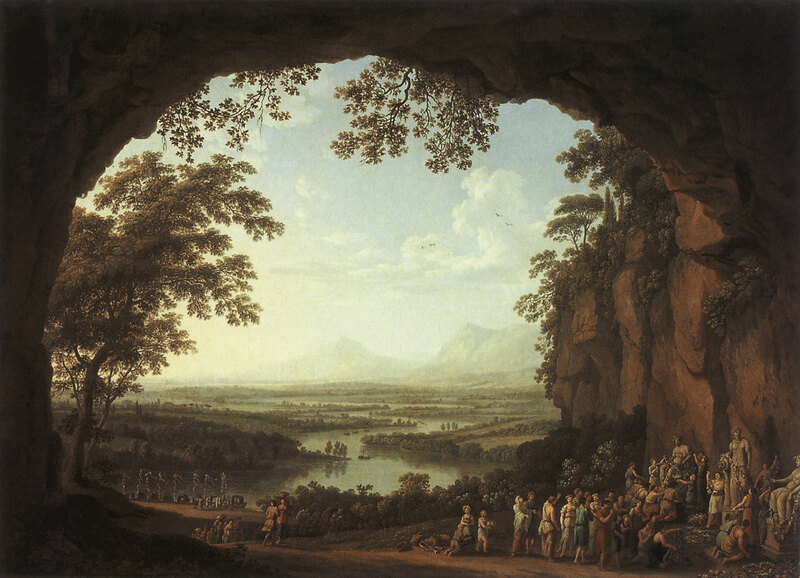 Landscape with the scene of an ancient festival. Receipt: 1925, from the Palace-Museum of princes Yusupovs, Leningrad. © Photo, text: Antichnoe nasledie v iskusstve Zapadnoi Evropy. Katalog vystavki. s. 74 cat. No. 64.